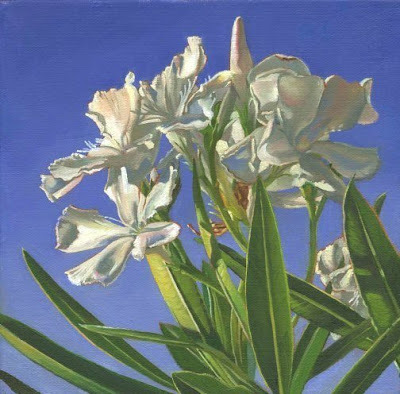 Connie McLennan : "Queen of the Road"
The hardy, drought-resistant oleander, used extensively along California freeways. sounds like you had a smashing day...pun intended! Yikes. techno trouble and cat-astrophy all at the same time. Sorry to hear. Your paintings are beautiful. I also appreciated your post on donating art, and holding prices...universal dilemmas for artists, I think. Hope 2010 brings all good things your way! Oh, thanks, Elizabeth and Liz. I considered deleting that pricing post, because it didn't have a new piece of art. I'm glad I didn't if you liked it.